Explosive Handles is back with the DYNAMIC EDITION. This 3-disc video series includes 30 minutes of intense ball handling that are only for players who truly want to get better. The Dynamic Edition offers high repetition in each drill to maximize every players’ workout. The Dynamic Edition uses the same advanced skill break down that was used in THE PROGRAM but at a much faster pace. 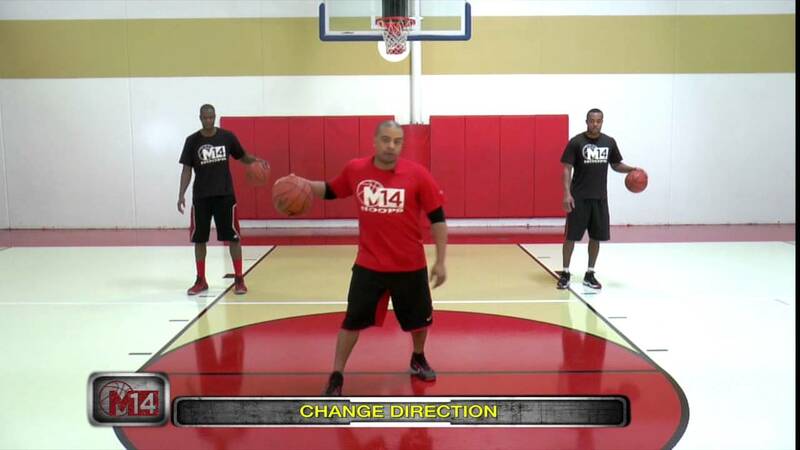 Players are forced to hold an “athletic stance” as they are taught transferable ball handling moves that can easily be implemented into their games! Workout #1 is dedicated to advanced stationary dribbling and high repetition. Workout #1 helps players win the “shoulder war” by staying low when handling the ball and using your shoulders to fake defenders out. Check it out!! Workout #2: “No weak hand; players have two hands that are equal.” The first half of workout #2 revisits 2 ball dribbling from The Program but at a much fast pace. 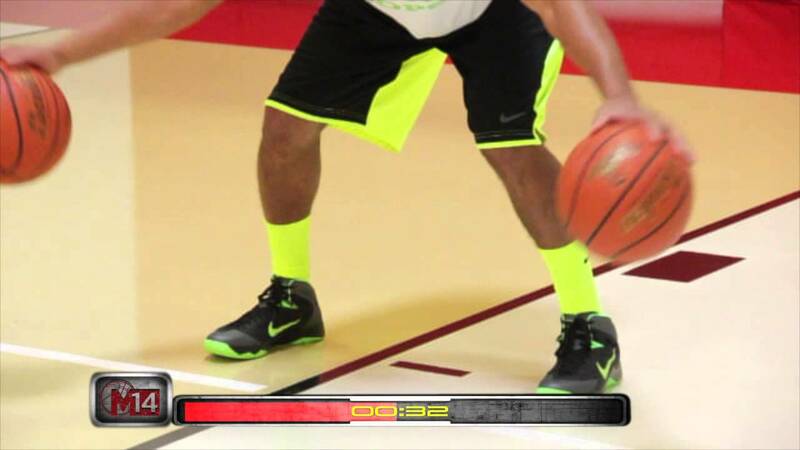 The 2nd half of workout #2 will help any player win the “foot war” offensively. Players are shown the proper use of a shot fake, jab step and advanced ways to create space. Check it out! “Work Paranoid” It is a phrase used at the M14Hoops Basketball Academy. It means players have to have the mindset that their opponent may be in the gym right now working harder than them. Do not let them out workout you! Workout #3 offers players high repetition on advanced 1on1 attack moves. The “burn-out” at the end of this workout will give players ANKLE.BREAKING.RESULTS. Check it out!